With smartphones doing pretty much everything you could possibly want, the intimacy of just calling someone has been lost to instant messaging and emails, but with Saymore this might not be the case. Youtuber Brent Hurley wants to bring back the unique intimacy of simply talking to somebody. His app lets you browse pre-made discussion topics, preview the profile of a conversation partner so that you can see that they're not a complete lunatic, and start a free call with them. 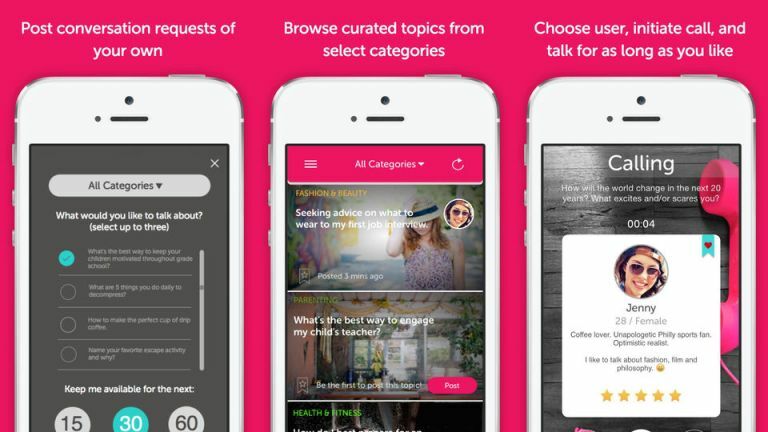 Once you fill out your profile the app gives you a host of topics to talk about. Whether you're feeling like an economic debate over the Greece-Eurozone crisis, or whether you're wandering what the world will look like in 30 years, there's apparently a host of topics to have a good natter with someone about. A great feature of this app is that you can never see the stranger's number and they can't see yours, which reduces the likelihood of you being stalked. The calls run with HD voice over cellular for Wi-Fi at absolutely no cost. Saymore is now avaialbe for iOS.